What does Your College Transcript Say About You? One of the most important parts of your graduate school application is your GPA. 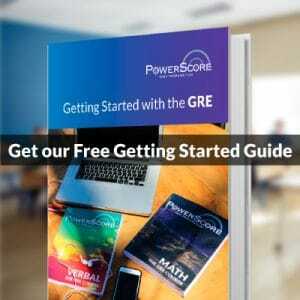 Combined with your GRE score, those two numbers hold the greatest weight when it comes to how likely you are to get into a particular school. Unlike your GRE score, though, your GPA has another facet to it: Your transcript. Whether your transcript has a positive or negative effect on your application, however, depends on what’s on it. 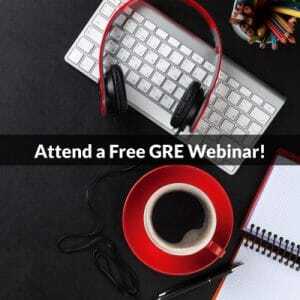 If your GPA is a 3.5 or above, and you majored in something that is directly related to the field in which you want to pursue graduate studies, your transcript will likely not be scrutinized. For all others, here are the five areas that will likely be looked at. What pattern do your grades follow? Do they start off strong, and go down as you go progress through college? Do they start off weak, and get stronger? Do they start off weak, and stay there? Do they fluctuate up and down throughout your college career? All of these different scenarios will say different things about you. Those that start off with strong grades that get weaker may be telling grad schools that they can’t handle more advanced courses (since, typically, college students start off with easier, general courses during their freshman and sophomore years, and take more advanced, specialized courses in their junior and senior years). Those with grades that are weak at the start but get stronger have a good case they can make about their potential and maturity. They could easily tell grad schools that they had a hard time when they started off, but then got their act together and excelled when it mattered most: when the classes were tougher, the sections smaller, and the material more advanced. This also looks much better than those with a downward grade trend, since the highest grades will be the most recent. Those with weak grades that never get better have a lot of explaining to do. Hopefully, they have a GRE score that belies these grades, or they pursued a major is that is known to be objectively very difficult (and preferably at a university that has a reputation for being exceptional in that field). Neither of these makes the transcript look better (after all, a low GPA is a low GPA, and if someone comes along with a higher GPA in the same discipline, they will be looked upon much more favorably), but they make take some edge off. However, a weak GPA is never a good thing, no matter how many reasons you can point to for it. If grad school is your eventual goal, then aim for a 3.5+. Those with grade trends all over the map likely have a tougher application road ahead of them than any of the other trends presented above, because they can be taken to be an unknown quantity. There’s no rhyme or reason for their performance–sometimes they do well, sometimes they don’t. Class types, subjects, times of the year–none of these seem to make any difference or create a pattern. Grad schools might look at this grade trend and wonder–which student will they get? They one on the upward grade trend, or the one that downward spirals? If you have a trend like this one, specially if it’s combined with a less-than-stellar GPA, you will definitely want to address it in an brief addendum, presenting an explanation for why your grades fluctuate so markedly. When it comes to grad school, there are some who say that it doesn’t matter which major or which classes you take, as long as you get that coveted 4.0. We believe differently, and think that an ‘A’ in clearly easy class will not be considered the same as an ‘A’ in one that is known for its complexity. Keep in mind that professors often read applications for admission, and they they are likely to judge a person’s academic prowess and potential based on the difficulty of their courses. The moral of the story: Don’t pick classes because they look easy. Pick classes because they complement your major and will challenge you. And then do well in them. If you end up doing not-so-well in them, at least you can fall back on the “it was a truly difficult course” excuse. You can’t do that if you get a ‘C’ in Dog Walking 101. There’s a lot of chatter about what you should major in if you’re planning on going to grad school. Although many will say that a student must major in the field that they eventually plan on getting a Master’s or Ph.D. in, that’s not necessarily the case (although it certainly does help, since it shows an interest and prior experience in the field). On the more general end of things, any major that is reading-, research-, and writing-intensive is good, even if it’s not exactly within the field you want to get an advanced degree in (although you should keep in mind that, if you’re a Chemistry major that wants to get into a graduate program in History—or any other similar dichotomy like that—you will have to present a very strong statement of purpose explaining why you are suddenly and radically switching gears). Much like with class selection, those that take the painless way out and major in the super-easy just for the sake of an easy ‘A’ may also be looked upon not as favorably. Above all, grad schools want to see that you can handle the rigor of their advanced classes, and that you are ready for the academic intensity that they will entail. Yes, your major should be interesting and easy for you to be engaged in–but it should also speak to your academic potential. On the other hand, if you’re overall GPA is a good one, but your major GPA is poor, that may say that you lose interest in delving deeply in a subject, and that you do better when you have multiple subjects to choose from and study at once. While that might say wonderful things about your personality, it may make law schools a little leery–grad school is about advanced study in a single field. If you haven’t shown that you can focus intensely on one subject and succeed in it, what will happen when you have to study nothing but a very specific subject for the duration of your grad school career? Grad schools accept students from many and sundry undergraduate institutions every year. While the pedigree of your undergrad will come into plan a little, it is not the end-all-be-all of your transcript or your academic story. Where you come from doesn’t matter as much as how you did when you were there. Instead of worrying about the relative “prestige” of your institution, worry about doing well in your classes while you’re there. Knowing what all the different aspects of your application say about you can be incredibly beneficial. It is only by learning to listen to your application that you will be able to put together the most effective admissions package, and increase your overall chances of acceptance. Take the time to hear what your transcript (and all the other parts of your application) are saying, so that you can better harness their words to your advantage. Need help keeping track of your grad school applications? Check out the free My Grad School Apps Tracker! Image: College Transcripts Enclosed Envelope by Tony Webster .